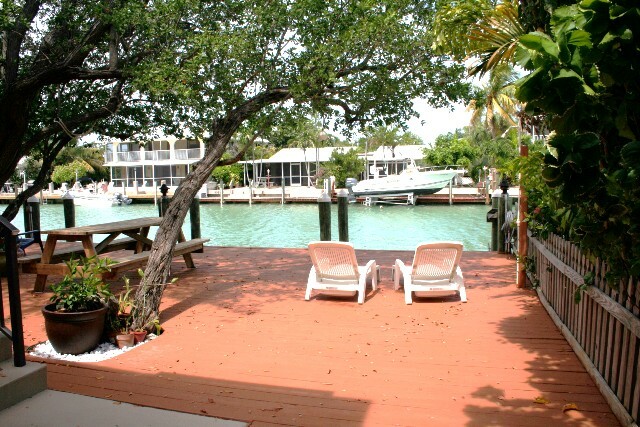 Spacious 3 bedroom Key Colony Beach vacation rental home. The beautiful front door opens onto a unique spiral staircase leading to the upper living area. The entire upstairs has been updated and decorated and features a new kitchen and new furniture in the living room. The master bedroom features a gel/memory foam king size mattress, updated furniture and a new ceiling fan. The second bedroom features 2 full size beds, with new headboards, updated furniture and a new ceiling fan. The two upstairs bedrooms feature flat screen TVs. The rest of the upstairs is an open floor plan with a 42 inch flat screen TV. We have Xfinity cable on all TVs and WiFi available if you want to use it. There is an updated, stainless steel microwave, dishwasher and a brand new (July 2015) stove/convection oven. Both upstairs bathrooms have recently been updated as well. The downstairs features a living area which includes a new American Signature queen sleeper sofa and love seat. Also downstairs is the 3rd bedroom which has a king size bed, and its own full bath, and is really a second Master suite. The entire downstairs has been newly painted for an updated look. There are two large sliding glass doors both upstairs and downstairs to allow you to enjoy the beautiful view of the canal through the lovely trees which provide shade all day long! The upstairs sliders open on to a covered porch. The dock is 37′ feet long and has a fish cleaning table, lights, and a shower. Wifi is provided for your use. The rental rate is $1750.00 per week. The city of Key Colony Beach has so many things to do and you can walk to it all! The Cabana Club is located on East Ocean Drive. Relax on the beach or swim some laps in the Olympic size pool. Play tennis and golf on 8th Street. Take the kids to the playground on 7th Street. Watch the sunset from Sunset Park on 12th Street. Charter a boat to go deep sea fishing. Rent a kayak and paddle the day away or take a snorkel or dive trip to see Sombrero Reef. All located on Sadowski Causeway. Eat, drink, and be merry! There are 4 restaurants in KCB, the Key Colony Inn, Sparky’s Landing, Havana Jacks, and Leigh Ann’s. Enjoy an Espresso Martini at the Inn, dinning on the ocean at Havana Jacks, Happy Hour at Sparky’s, and great coffee at Leigh Ann’s. Rent some bikes and cruise through the island. Shop at the gift shop or DK’s Style Hut in the KCB Plaza. Or just do nothing and relax! This rental was really nice. The house met all of our needs. A suggestion would be to trim back some of the tree branches from over the water to prevent leaves from constantly falling into the boat. Also, during our visit in July, caterpillars were constantly falling out of the tree due. Also, flies were really bad. Probably due to the timing of our visit. They were so prolific that we bought a fly trap from Home Depot which worked really well to get the situation under control. It would be a added plus for this rental to have the fly traps available for renters use. Otherwise, the house itself was great. A/C stayed cool and everything else was great! This unit was wonderful. We spent a lot of time inside because it rained 80% of the time. But that didn’t ruin our vacation. Comfortable and very clean. We will be back! We had a fabulous time on our first visit to Key Colony Beach it is quiet place to relax and spend quality time with the family. We have been traveling to Marathon for over 20 years but never stayed in Key Colony it is truly a treasure.